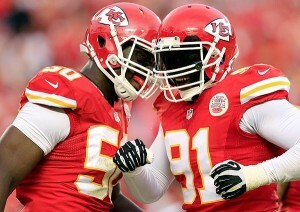 Tamba Hali | Digital Marketing, Poetry, Reviews, Philosophy, Sports & Tales by Joe Wooldridge. Picking the winners and losers of week 13 in the NFL. NFL Parity Illustrated, courtesy Deadspin.com. Last Week: 6-7-1. Season: 57-41-1 (57.57%). 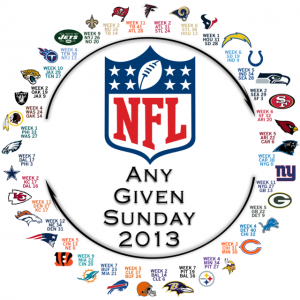 Grab your Turducken, it is Thanksgiving week in the National Football League! Time to enjoy great food, family and fun – and then escape to watch football when you’ve had your fill of the rest. 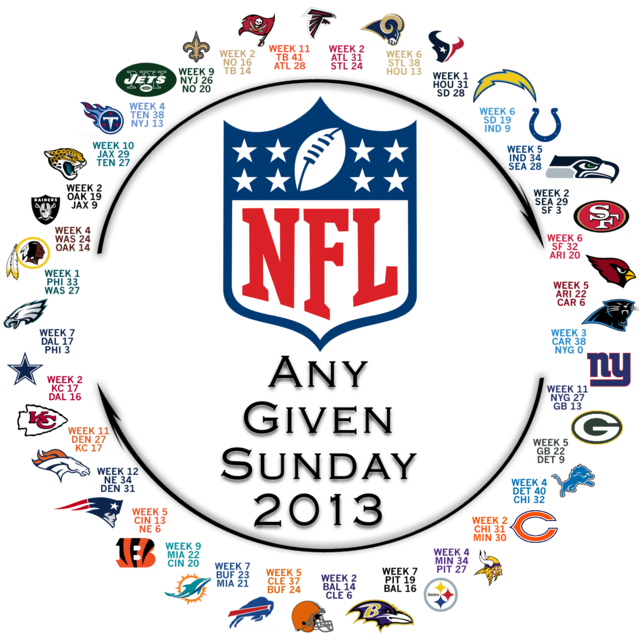 There are many things to be thankful for as an NFL fan this year. Especially as a Kansas City Chiefs fan. In addition to being grateful for parity in the league where your team CAN go from worst to first – and that the ‘Any Given Sunday’ rule holds true (see graphic, courtesy, Deadspin.com). Side note: Sunday Night we saw all we need to see in the Brady versus Manning debate. Brady is better. That game illustrates the difference between a Champion and a guy who puts up great numbers. There’s no comparison. I’m grateful for Calvin Johnson’s superhuman performances, Tom Brady’s competitive fire, the passion of NFL fans, and for fantasy football that brings together old friends for fun each year from locations around the globe. Happy Thanksgiving to you! Let’s look at this week’s buffet of games. A divisional road game without Aaron Rodgers? NO way Green Bay. I’ll be watching this one to see Calvin ‘The Human Highlight Reel’ Johnson pull down rainbows from Matt Stafford. I bet Megatron is on Stafford’s ‘Things to be grateful for’ list. Ya think? 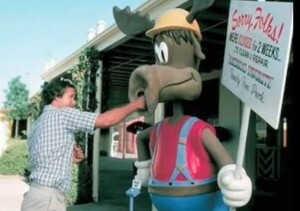 Toughness won’t be enough for this tough Raiders team on the Holiday Road. Dallas has too much talent and Romo has a paycheck to earn. A great AFC North matchup. Although Pittsburgh has turned the corner, look for Baltimore to defend their home turf in a close battle. Anybody seen the weather for Thurs in Baltimore? How scary are the Buccaneers now?? Very. A young team playing with grit and growing confidence will give Carolina fits. Will the real Panthers team please stand up? I’ll take the home team. The Jaguars have made some progress, but not enough to come into Cleveland against a stout defense in front of the Dawg Pound in a December game. Start prepping for the draft – and sign Tebow to fill seats and sell merch. Underachiever team plays on the road against erratic team with a better quarterback. Not only that, but the Colts have to win this game to keep their slim playoff hopes alive. It isn’t like the Chiefs pass rush will suffer without either Hali, Houston or both. They didn’t get to Manning two weeks ago. In fact, I suspect an increase mix of zone defense will play big dividends for Sutton’s recently stagnant unit. Then you look at a Kansas City offense that finally learned how to put points on the board prepping to play against a suddenly depleted Broncos secondary. Add in a hairline fracture of Peyton’s heel, no Julius Thomas and 137 decibels every time Manning tries to audible? I’ll take the underdog Chiefs at home. Good gravy I’m a homer. Bounce-back week for the Bears. The Vikings played a depleted Packers team to a tie last week, which is pathetic. Look for the Bears to come out and steal a win on the road. Brandon Marshall, Alshon Jefferies and Martellus Bennett should have a feast this Sunday as well. Picking a winner here is like considering political candidates. You don’t like or trust either candidate. Miami is a conundrum. The Jets are an eyesore. I’ll take the tough defense of the Jets at home in a one-score game. Ugh. An overlooked Cardinals team seems to be gelling at the right time. Even though the Eagles have impressed lately, I don’t trust them. It always seems like QB play is an issue with the danger that Chip Kelly’s offense places them in. Look for a statement game from a Cardinals team eyeballing a playoff berth. What was it Roseanne Rosanna-Danna used to say? “Ya know, it just goes to show you that no matter what – it’s always something!”. Technically a home game for the Bills, but they would fare better in Ralph Wilson Stadium. That said, Matt Ryan and the old birds will continue to slide. Perhaps Jadevon Clowney is in their future? Hear that clicking sound? That is the 49ers offense gearing up for the playoffs. Combine that with a beast of a defense at home and the odds of the Rams stealing one in San Fran are very slim. Expect a biceps-kissing make-out session between Colin Kaepernick and his right arm. Did you see Tom Brady’s mastery in the historic comeback against the Broncos on Sunday Night? 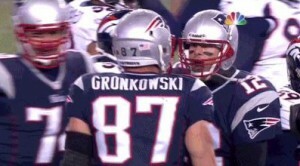 How about Brady Screaming Celebration with Gronk? Have you noticed the myriad of issues facing this Texans team? The Pats are now looking fierce and I don’t see a chance of Houston winning at home. One of the best games of the week. A solid Cincinnati squad visits a confident Chargers squad led by a fiery and resurrected Philip Rivers. Look for the Chargers to hold serve. Perhaps they’ll show the Jim Rome versus Jim Everett clip at halftime? Tom Coughlin’s team now believes. After dropping a close one to the Cowboys, expect the Giants to steal one in D.C. against a tired and bewildered Redskins team facing a short week. Monday Night Football gets its best match-up of the year. If not for Rob Ryan’s much-improved defense I would have to go with the Seabirds at home. But Sean Payton and Drew ‘Pinball Wizard’ Brees should shine under the bright lights.